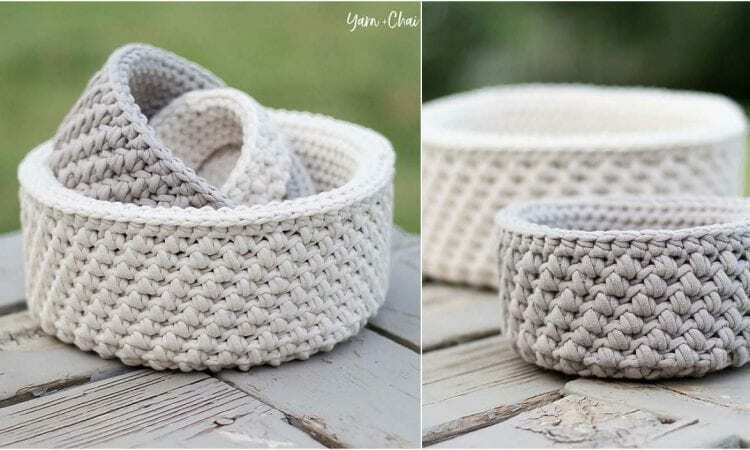 These beautiful nesting baskets will enable you to hold things in them, or just set them out in any combination to look great on a shelf, table or mantlepiece. These thickly stitched beauties have a fair bit of heft to them, so the walls are rigid and stand upright. Although bulky, the pattern isn’t hard and you should have a set of your very own very soon. The colors presented are very modern and stylish, but you can, of course, vary them to suit your decor or mood. A link to the free pattern is at the end of the post.